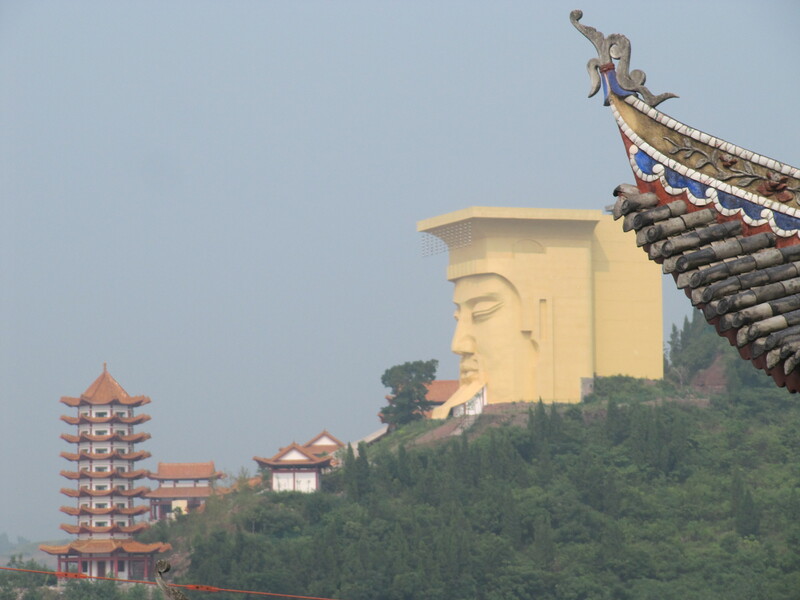 Fascinating China: Yangzte River adventure. 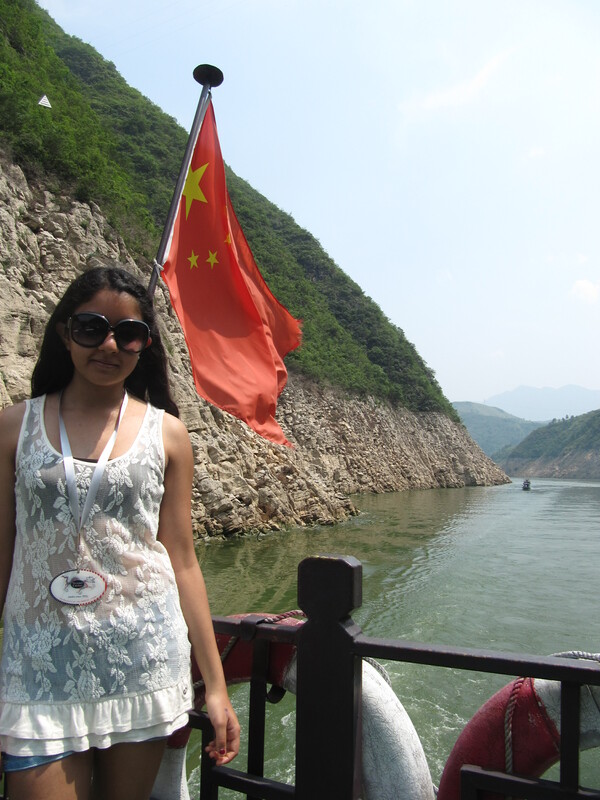 Continuing with my China trip, during the time I spent there I took a 4 days river cruise on the Yangtze River which is the longest river in Asia (third longest in the world) and home to the largest hydro-electric power station; the “Three Gorges damn”. 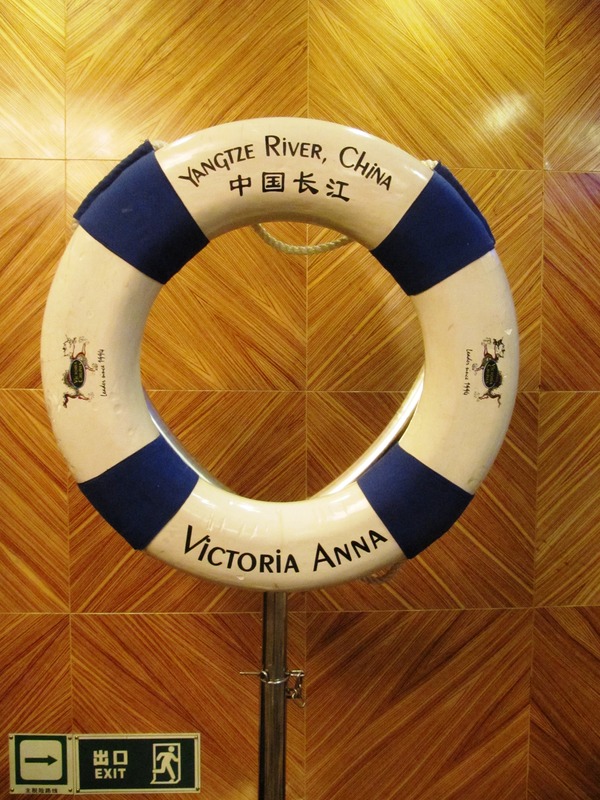 My river cruise adventure started in Chongqing, where my family and I boarded the ” Victoria Anna” cruise , part of the American cruise line ” Victoria Cruises”. 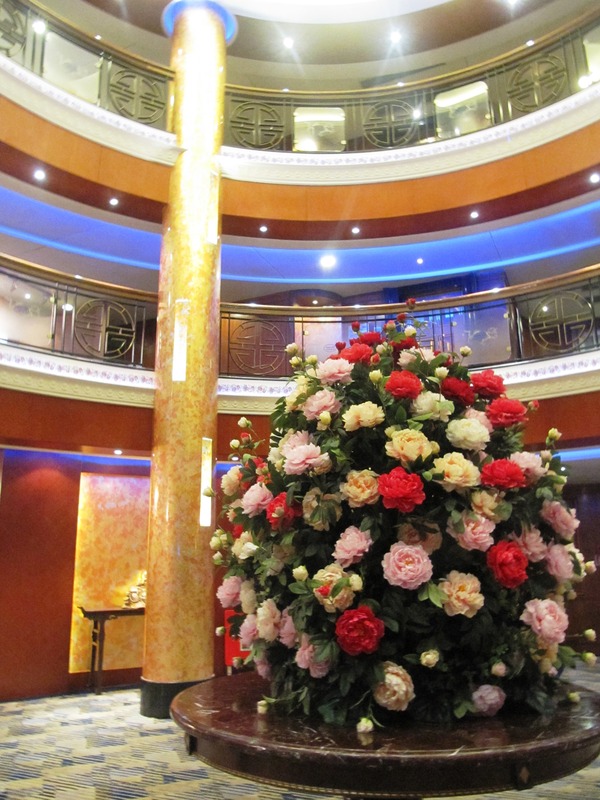 I have to say our ship was pretty luxurious, beautifully decorated and offered comfortable and spacious bedrooms. 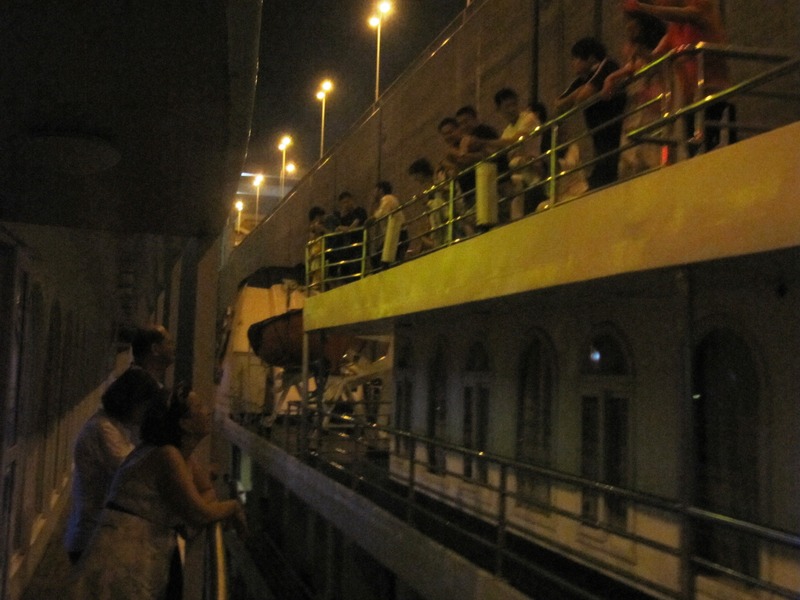 Every night there were activities such as dance shows, karaoke and chinese lessons. But what’s really important are the things we got to see and do outside the ship. my little sister taking the third test. 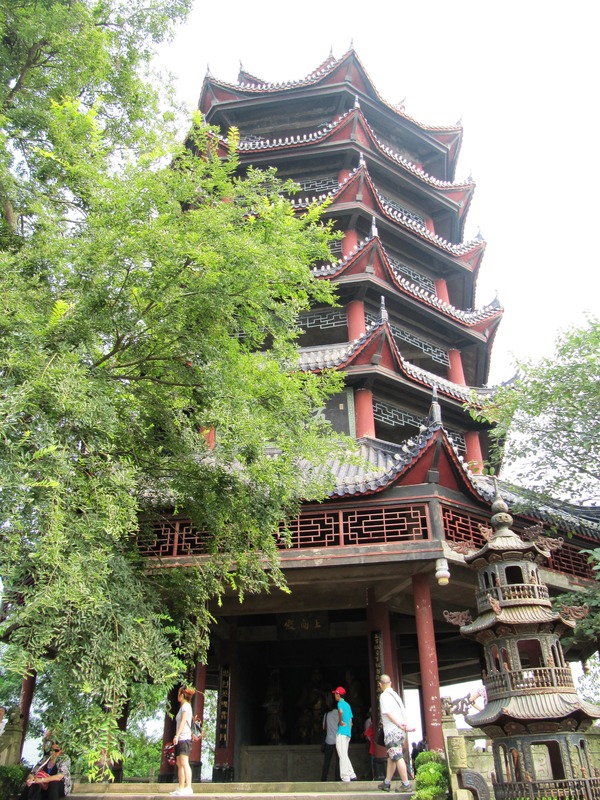 The first stop of this journey was on the Ming mountain’s city of “Fengdu”, commonly known as “ghost city”. 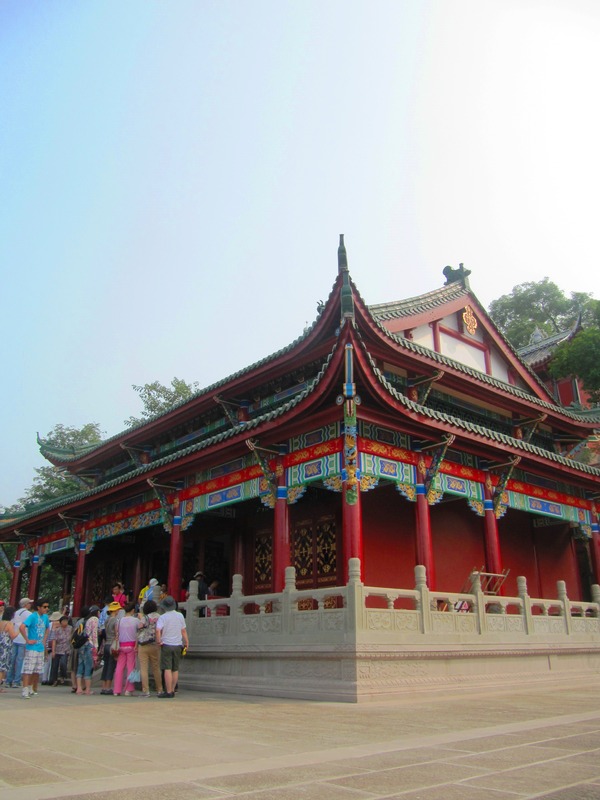 All the temples, statues and buildings in the “ghost city” are related to the afterlife.It is believed that up the mountain Ming, dead people’s spirits gather to take part in 3 tests which will determine wether the dead can enter the “netherworld”. 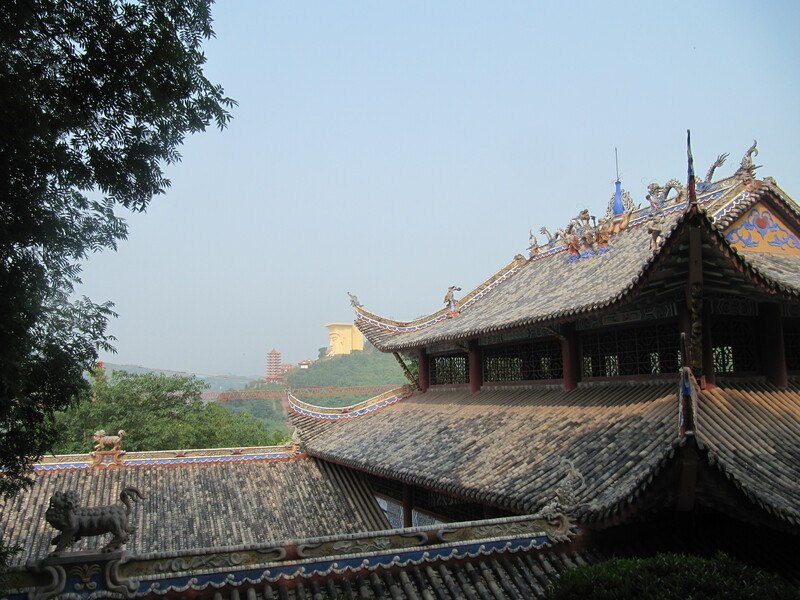 As you make your way around the mountain and enter the different temples, you take part in all 3 tests. 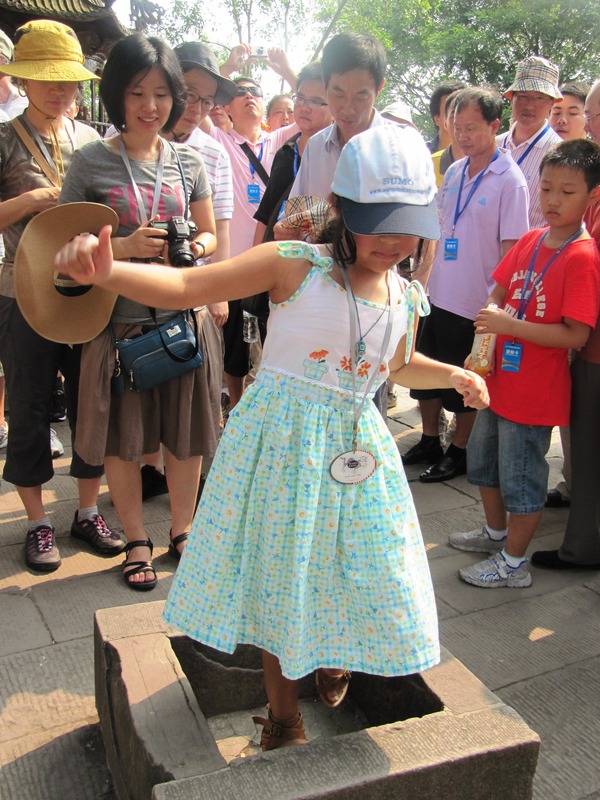 The third one consists of standing on one foot on a little stone for 3 minutes. A “good person” will be able to do this, if you fail it means you are evil and will be sent to hell. 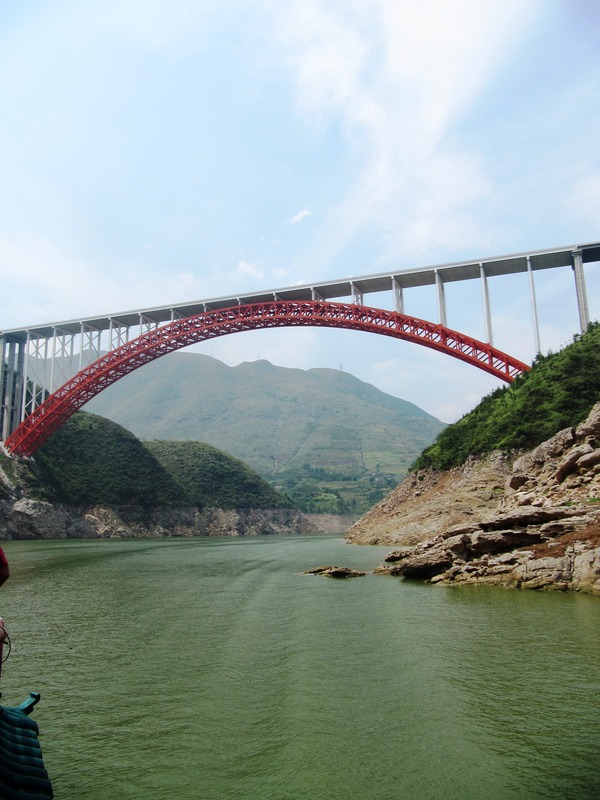 Entering the “Three Gorges”; “Qutang” “Wu” and “Xiling” gorge spread along 192 km of the Yangtze river and provide the most wonderful scenic spots. 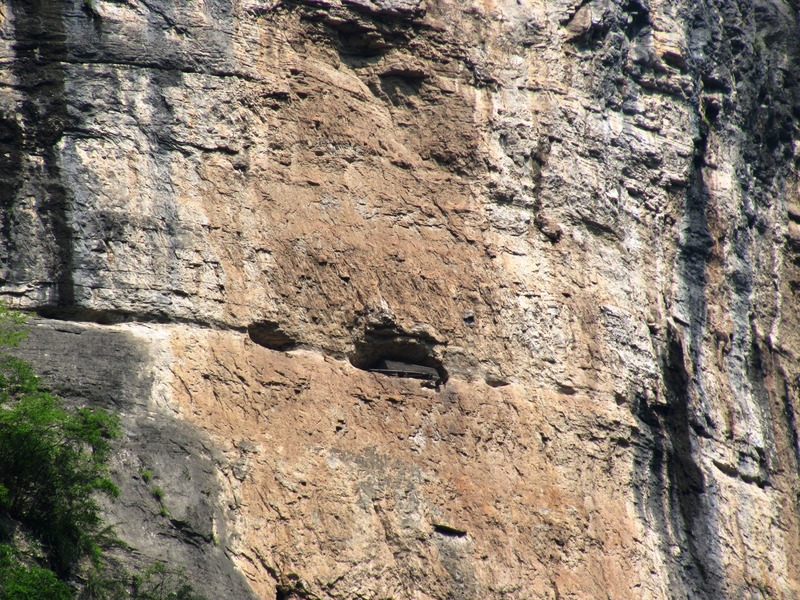 Along the gorges you can find at the top of some cliffs the “hanging coffins”, which are basically coffins that were placed in caves formed on the sides of the cliffs. The oldest of the coffins is said to have a 2000 year history, although most stories about these coffins are all theoretical. 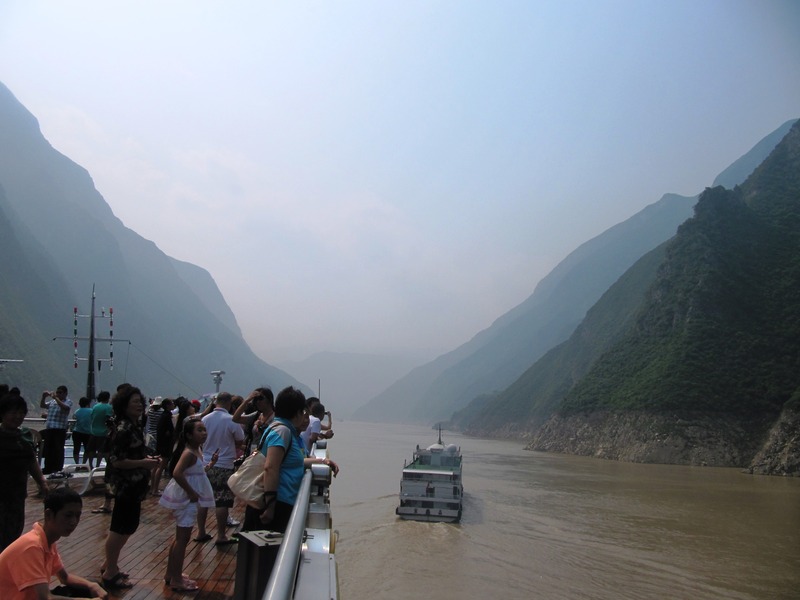 Passing through all 3 gorges is different and beautiful, the water changes from a mud like color to a pretty green, plus the hanging coffins add an eerie feeling to the experience. 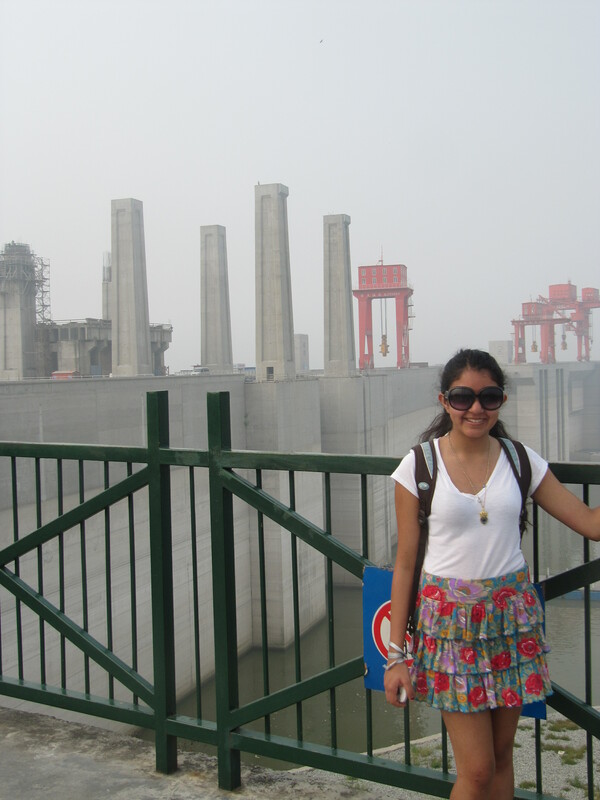 On the last day of this adventure we visited the Three Gorges Dam which took 17 years to build and was completed in 200. 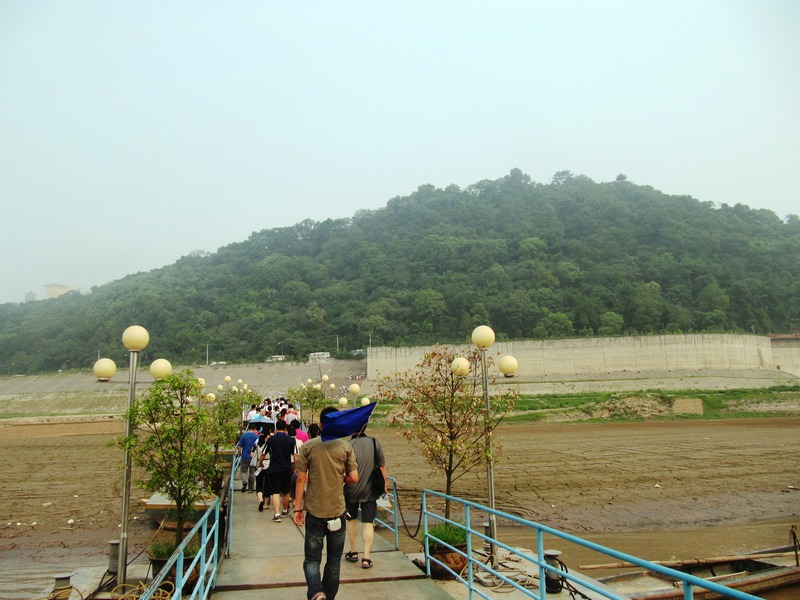 The dam is about 2,300 meters long, 115 meters wide and 185 meter in height. Prior to this the largest dam was the “Itaipu” dam in Brazil which I also got to visit during my class trip to Brazil back in 2008. 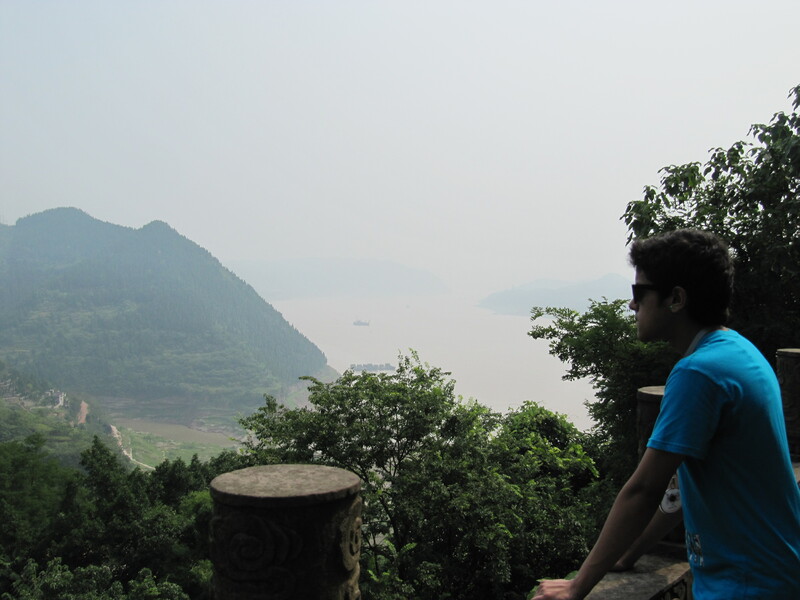 Finally we disembarked in the city of Yichang. 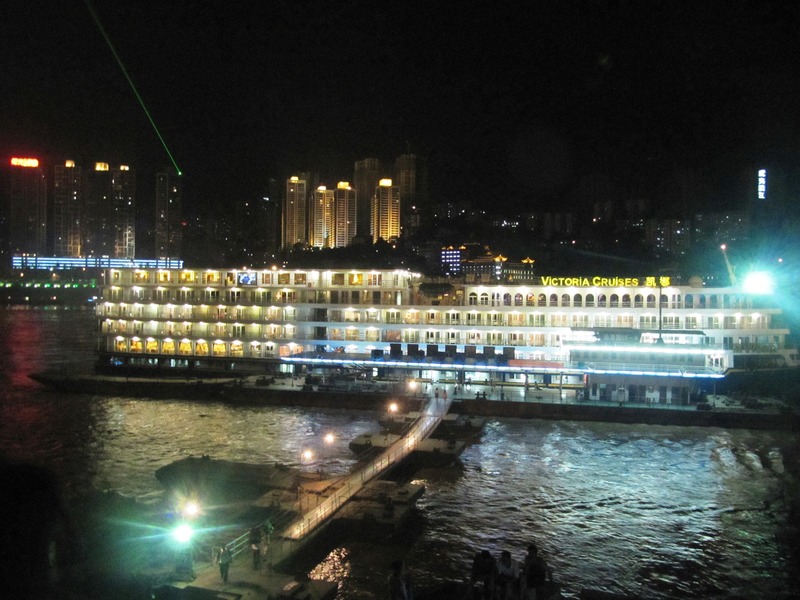 There are different options when taking a cruise with Victoria Cruise line, you can also take a week long trip from Chongqing all the way to Shanghai and vice versa. 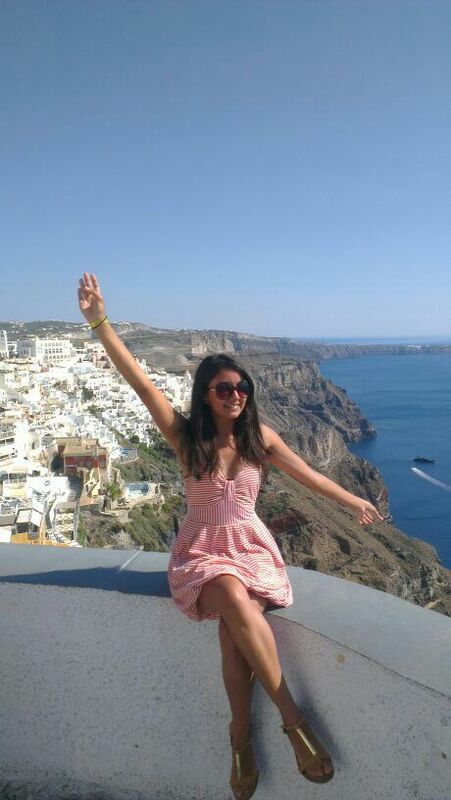 But overall my 4 days in the on board the cruise was a lot of fun, and I would definitely recommend taking one if you want to visit the dam as it includes so many more excursions and you will get to visit places that you may not have thought of visiting on your own.